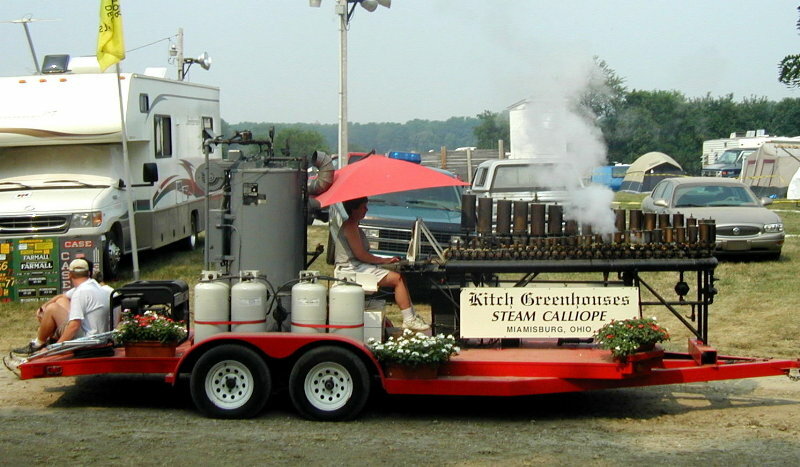 The Kitch Greenhouses Steam Calliope is steam powered with 47 whistles. It was Hand-made by Clovis Watkins (1908-1999) in Miamisburg, Ohio. Available for parades and festivals June through early October (weather permitting). Call for rates and fees at (937) 866-3491.